Since it officially feels like summer out, we tiki lovers at Paranormal Pop Culture wanted to wish you a very warm and sunny season. But since we celebrate in our own weird way in these parts, we'd like to introduce you to Paranormal TROP Culture, with our unexplained beachy gang. 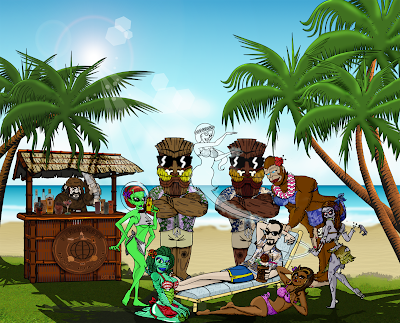 So here you have it, a couple tiki bodyguards keeping an eye on our bevvy of gorgeous PTC gals of Martian gal, mer-woman, were-lady, zom-babe, Ms. Sasquatch and ghostess. 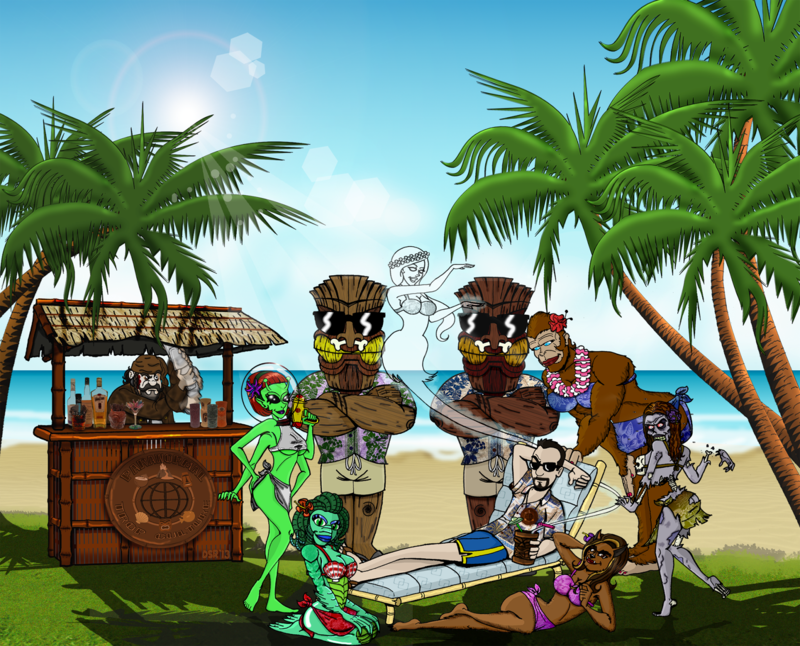 Of course a cartoon version of me is lounging back, enjoying a rum drink, no doubt prepared by pirate bartender Dr. Spectre. This embiggenable image comes to us courtesy resident artist, and one of the best around, David Rosenberg. So enjoy! Keep cool and stay hot this summer.